Are a 24 hour party person or do you prefer to know whether you are in AM and PM? 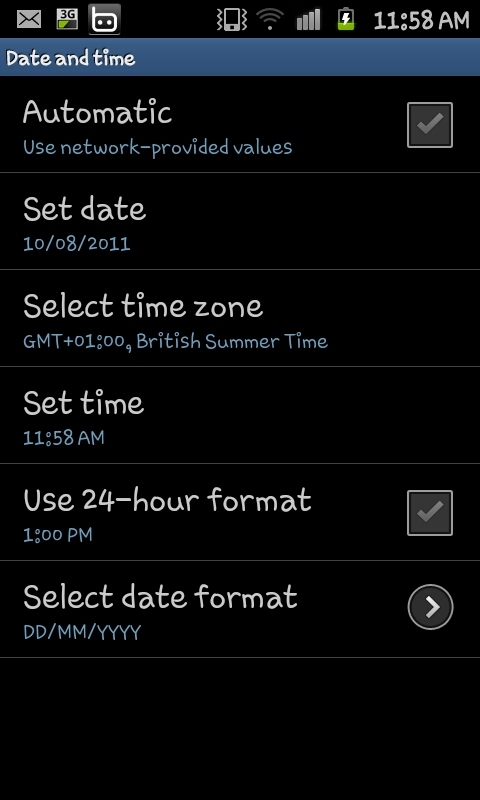 Whether you prefer the 24 hour clock format or the 12 hour format the Samsung Galaxy S2 (and pretty much every Gingerbread Android) allows you to choose which option is shown and with ease you can flick between the two. will do one or two things. 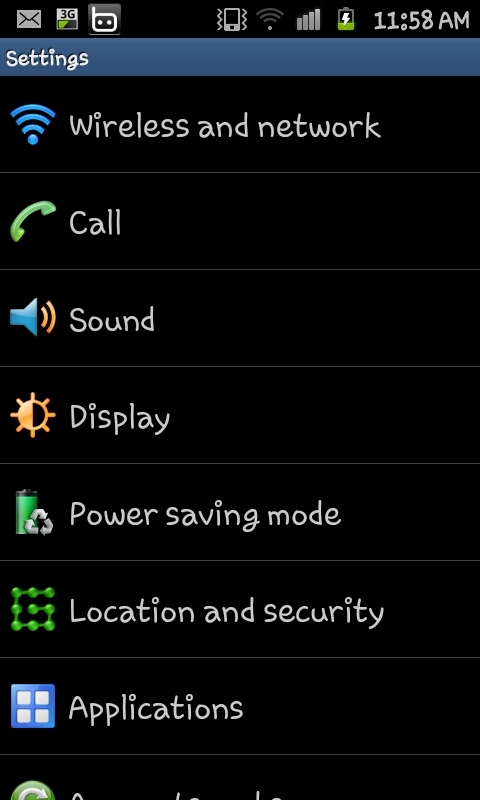 Firstly the "AM" (or "PM") will be dropped from the clock (see the screen shot to the right with out the AM). Secondly if you are beyond 12:59 you will notice that the clock is showing in the 24 hour format (for example 16:55 is 4:55 PM). Although this is a tiny feature that most won't use at all it's a nice addition and allows you that little bit of extra choice to personalise your phones display.